Klaus Sauer, managing director of SAXOPRINT, is very satisfied with the CutStar for the Speedmaster XL 162. This means that for the first time, the full flexibility to use sheets or roll-fed stock is available in 7B format. The online print shop SAXOPRINT based in Dresden has recorded double-digit sales growth in recent years, and last year generated sales of over EUR 100 million in the area of commercial online printing as part of the CEWE Group. Its product range has undergone a significant change this time. Standard commercial printed matter such as flyers, posters, catalogs and brochures are still the main focus and account for 80% of its business; however, packaging and finishing represent a large growth market. “Our business model is based on cost leadership. We use special algorithms to bundle the orders received via the web shop into gang runs and distribute them to the respective machines,” said Klaus Sauer, managing director, SAXOPRINT. “With us, every order is individual. As well as a good price, delivery reliability and speed are important,” confirmed Sauer. Customers from all over Europe order from SAXOPRINT, whether private individuals, business customers, agencies, or resellers, who now account for a not insignificant share. International customers are looked after by a call center in London staffed with native speakers. According to SAXOPRINT, the answer quota, or how quickly telephone calls are answered, is 98%, and the repeat order rate is over 80%. 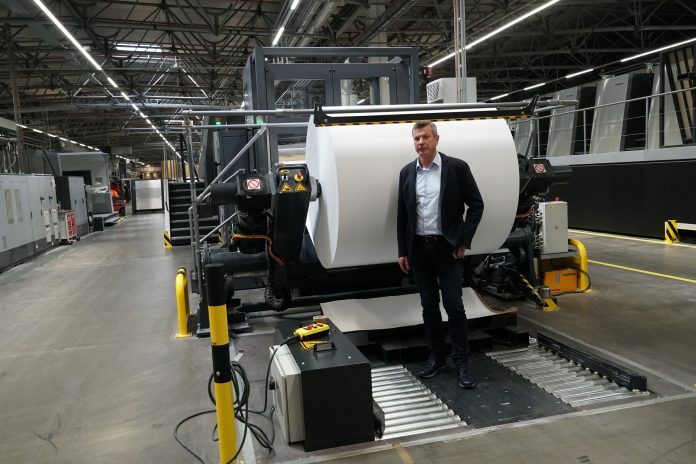 The latest installation in the press room comes in at an impressive fifty meters: a Speedmaster XL 162 8-color perfecting press with the world’s first CutStar roll sheeter in this format on a machine of Heidelberger Druckmaschinen AG (Heidelberg). 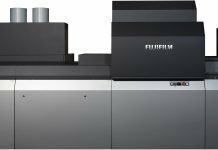 CutStar in other formats, such as 50 x 70 or 70 x 100, has been available from Heidelberg for many years. This means that the full flexibility to use sheets or roll-fed stock is now available in 7B format. More than anything, this significantly reduces the makeready times. This means that SAXOPRINT now has eight printing presses with a total of 36 printing units from Heidelberg: five large-format Speedmaster XL 162 presses, one Speedmaster XL 145, and two Speedmaster XL 106 presses, both of which are equipped with the CutStar roll sheeter. “We saw the benefits and so entered into negotiations with Heidelberg at drupa 2016 to include CutStar in the next large-format press,” said Sauer. According to the company, its experiences so far with CutStar speak for themselves. With just one reel change, the same number of sheets is fed as with three to four paper pallets. Fewer makeready and stoppage times as well as uninterrupted operating stability make the new Speedmaster XL 162 at SAXOPRINT nearly twice as efficient. The cutting performance of CutStar has a tolerance of less than 0.3 millimeters, well above that of industrially produced paper stacks. This means that the cut sheets in the delivery can go straight into postpress. The previous step of vibrating against straight edges is no longer necessary. Another plus is the double-gripper technology in the press delivery. The controlled guide at the front and rear edge guides the sheet reliably from the last printing unit to the delivery pile. These innovations mean that the previously required sheet brakes and therefore the print-free corridors are a thing of the past. The best possible use can be made of the print area. This means that a dozen different jobs or 400 different business cards can be printed on a single sheet of paper with a width of 160 centimeters. 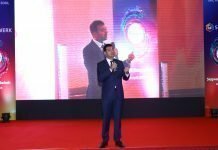 “We have succeeded in compensating the 10% increase in the price of paper through innovations and increased efficiency. This is all the more significant since paper accounts for up to 30% of our costs,” said Sauer. In addition, paper on rolls is around 6% cheaper than paper sheets. “In Heidelberg I have a partner that I can trust and that delivers on our wishes. The development of CutStar is a really great achievement,” Sauer said. 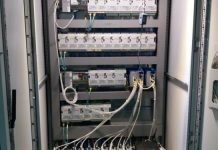 The cooperation is continuing – a three-year integration project is currently underway that should culminate in autonomous printing with the Prinect workflow. SAXOPRINT was established in 1999 with 22 employees. The online print shop ‘meindruckportal.de’ was launched in 2006. The first Heidelberg press was installed in 2011, replacing rival presses. SAXOPRINT has been part of CEWE Stiftung & Co. KGaA based in Oldenburg since 2012. Europe’s leading photo service provider is thus focusing on the strengths of offset printing in addition to its digital printing with a focus on photo books. Today, SAXOPRINT employs 550 people at its site in Dresden and last year received an award for excellence in apprenticeship from the German Chamber of Industry and Commerce. Every year it trains 20 young people. “More than anything we need skilled workers who can put our multi-million investment in machinery to efficient use,” said Klaus Sauer in explaining the company’s commitment to apprenticeships. As a commitment to the location, CEWE purchased the entire company premises of over 70,000 square meters in Dresden last year. Half is occupied by SAXOPRINT, the other half is rented to companies. With this investment, further growth at the Dresden location will be easily possible. 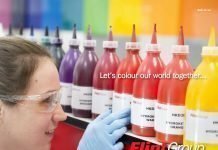 The full-service print shop is no stranger to superlatives: every year it processes over 25,000 metric tons of paper and images 1.2 million square meters of printing plates, 700,000 square meters of which were produced without chemicals and water in 2018. 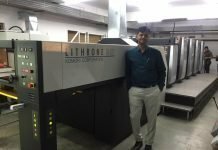 The prepress area is home to a new large-format Suprasetter, while the postpress area boasts an entire phalanx of Stahlfolder machines, which prepare the high output from the printing presses for the saddle stitchers and perfect binders. Following the installation of the new Speedmaster XL 162, the last of the rival machines will be removed this year. “What I like about the Heidelberg machines, apart from the high level of automation and ease of use, is the high technical availability. The makeready times on the Speedmaster XL 106 are consistently under two minutes,” explained Sauer. Paper waste is 20 to 40 sheets, which contributes to the green production credentials. According to Sauer, CO2 emissions have decreased dramatically in recent years. Over 10% of customers also order climate-neutral printed products. The business field is presently being extended with packaging such as the SAXOPRINT easy box. With this innovative product solution, a wide variety of packaging types can be conveniently customized online in freely selectable formats in a 3D designer, and ordered in runs of one and up. The target group is anyone who wants to enhance their product by giving it a customized packaging – regardless of the size of run and at attractive prices. “There is a harsh wind blowing, but our business is going well and we know the adjustments we need to make to be successful in the long term,” shared Sauer.